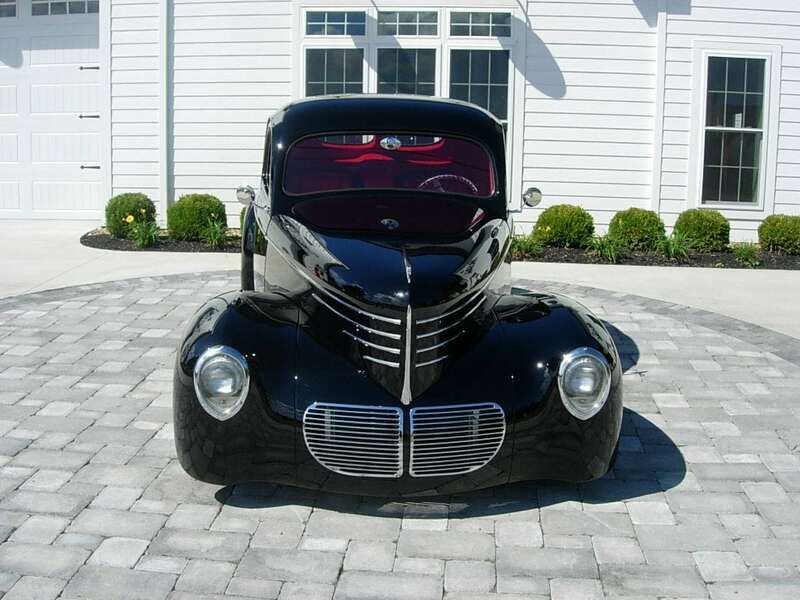 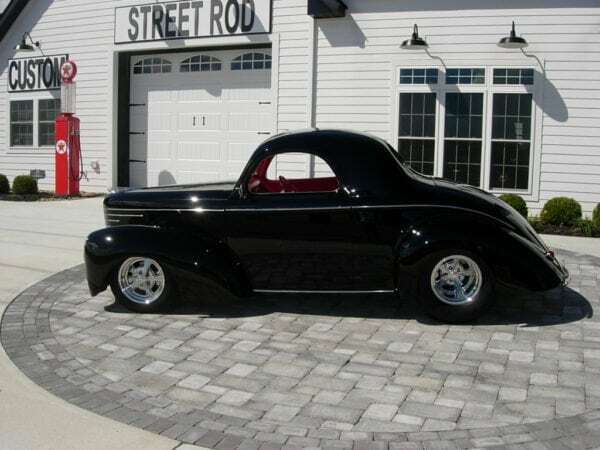 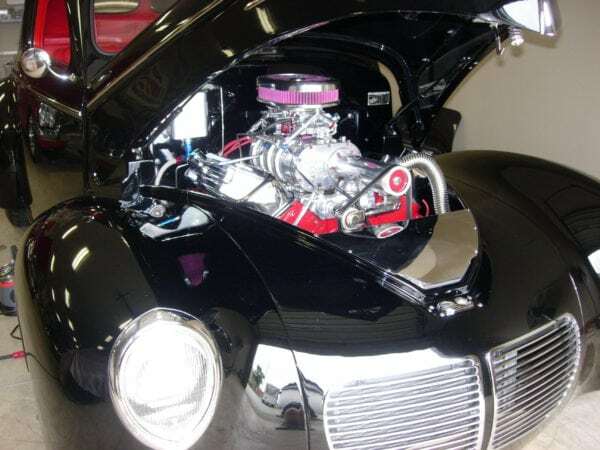 Professional build by Chuck Wendt started out with an Outlaw Performance Body and stage 3 chassis finished it in an absolutely stunning Black exterior with all new chrome grill, hood trim and custom stainless rear bumper. 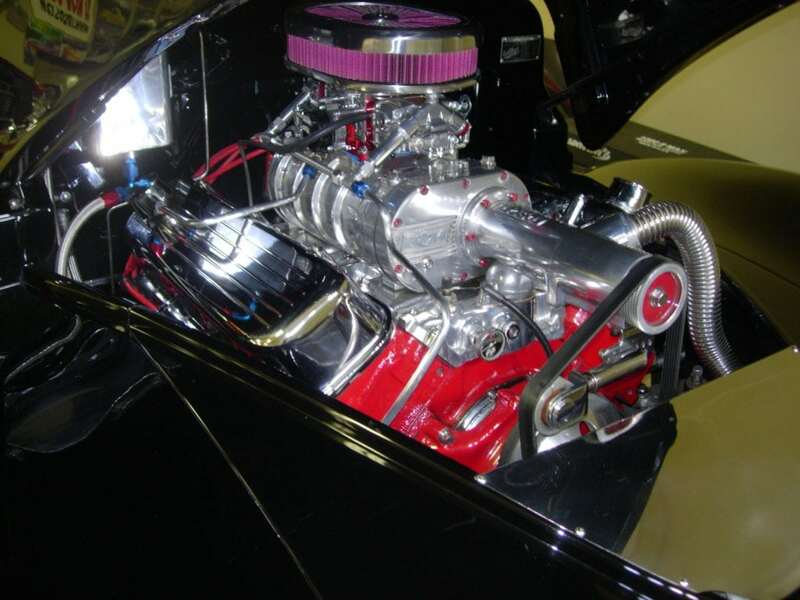 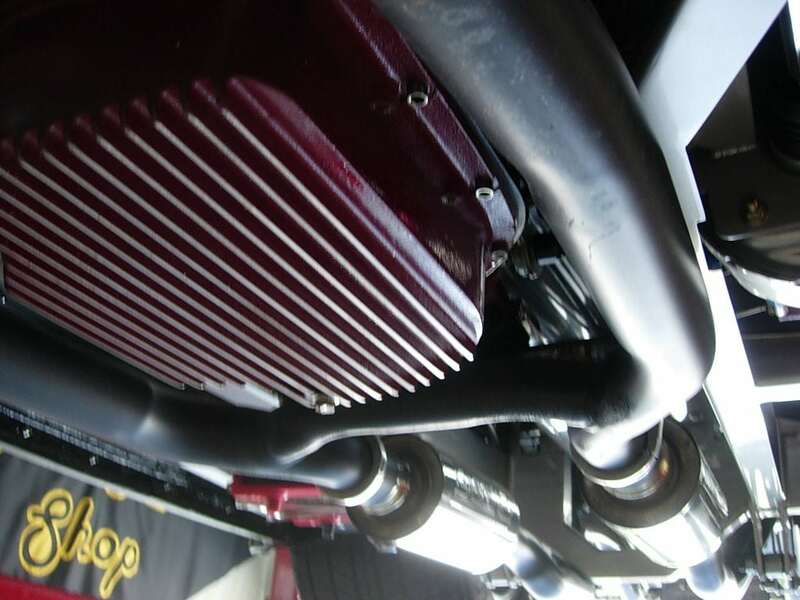 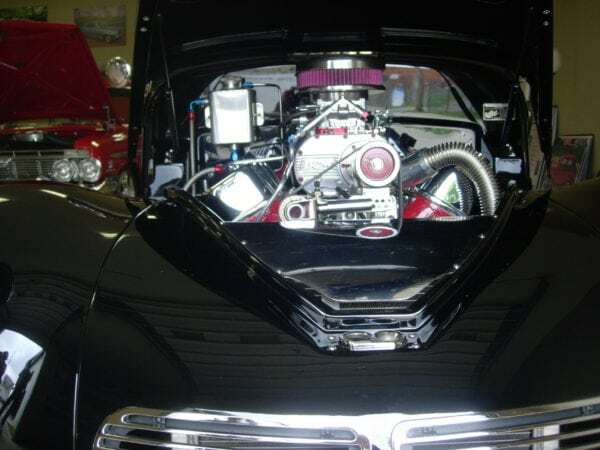 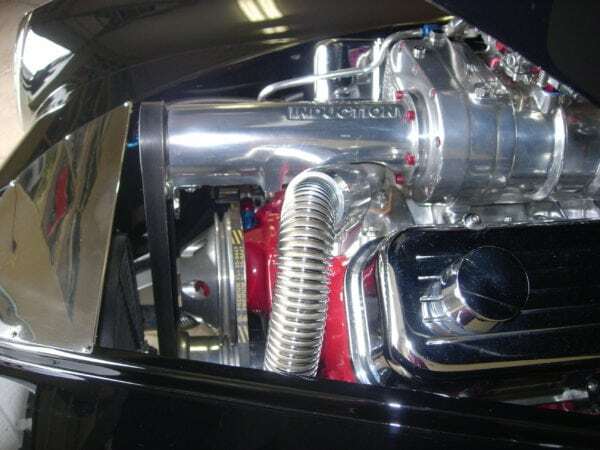 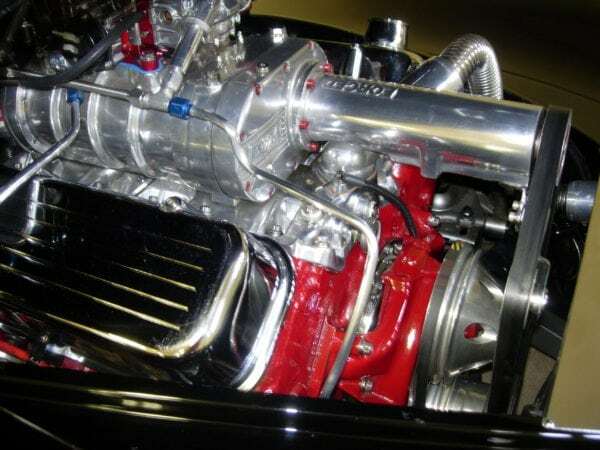 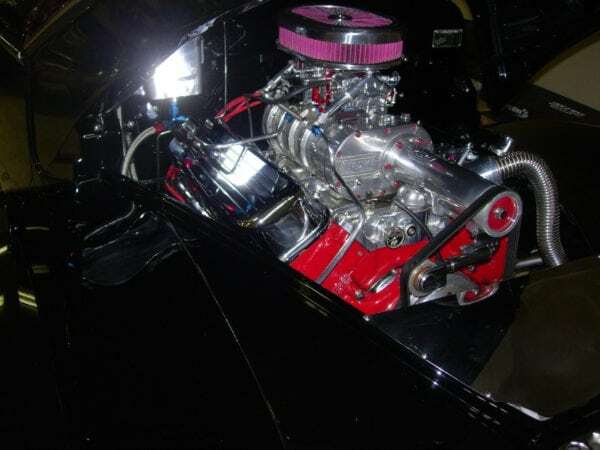 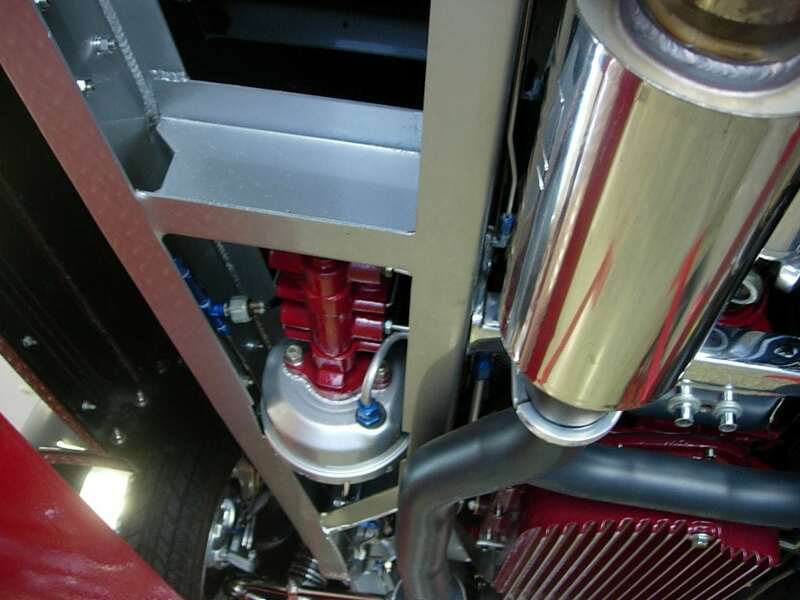 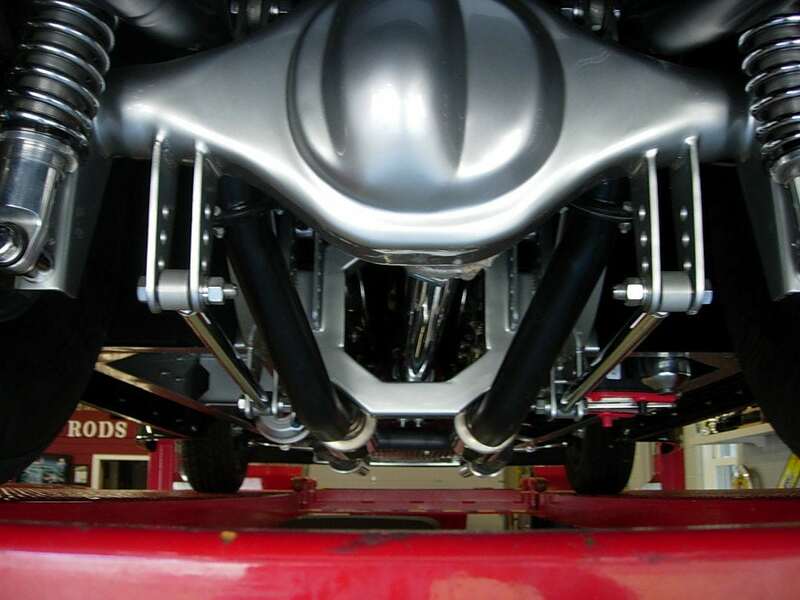 Engine features a 468 Chevy big block with B&M 177 series blower, custom intake with Quick Fuel carb, steel crank, Lunati Cam, Ross pistons, rectangle port heads, MSD ignition. 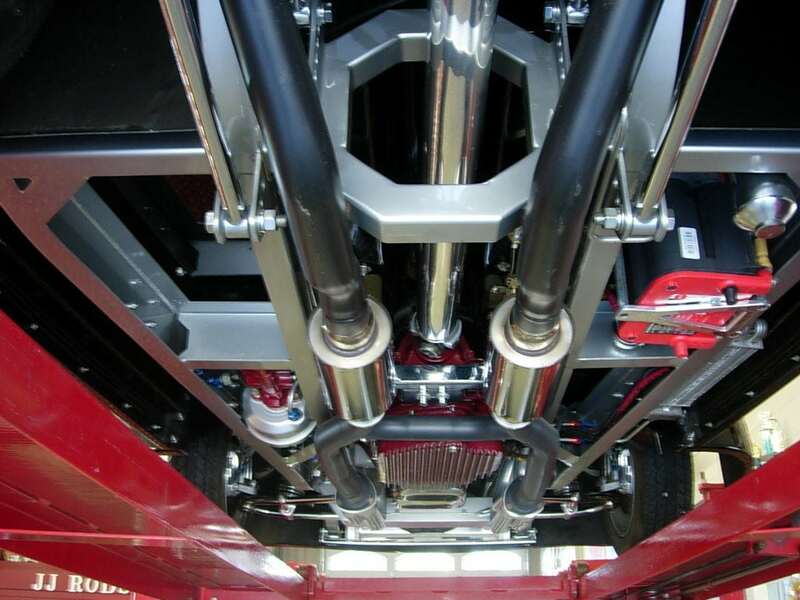 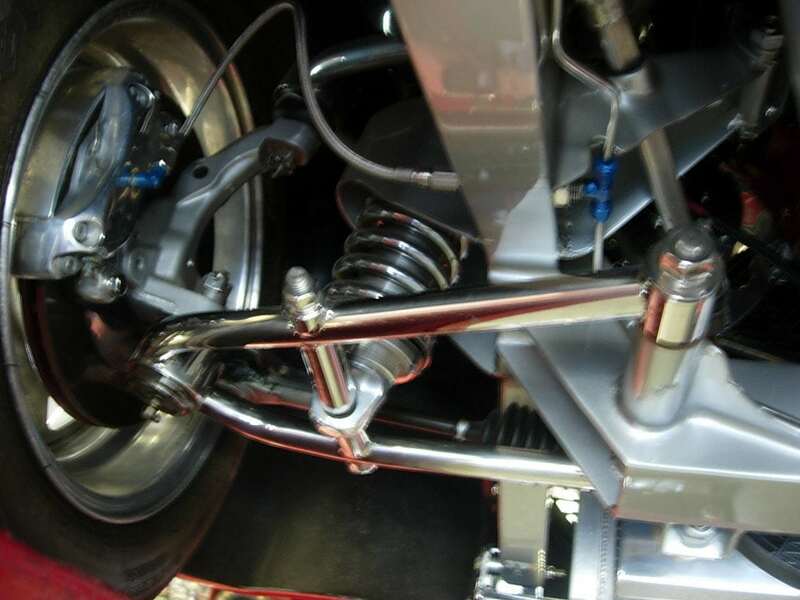 Drive train features a 400 trans., polished Aluminum drive shaft, Borla mufflers, stainless independent A arms combined with chrome Aldan chrome coilovers, stainless 4 link, Flaming River rack-and-pinion, Power Wilwood disc brakes , Currie 9” Ford rear with 31-spline Moser axles and Rowe racing aluminum radiator. 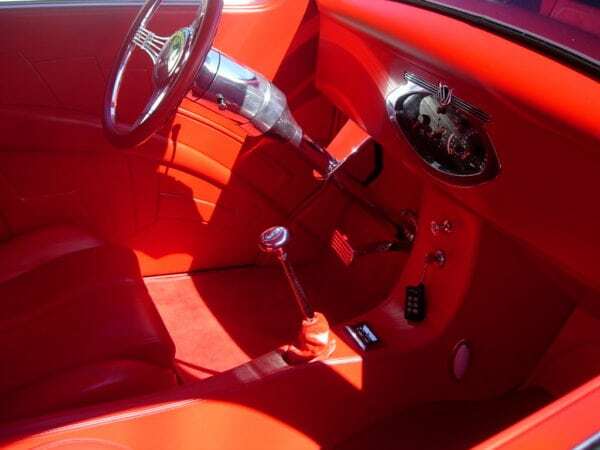 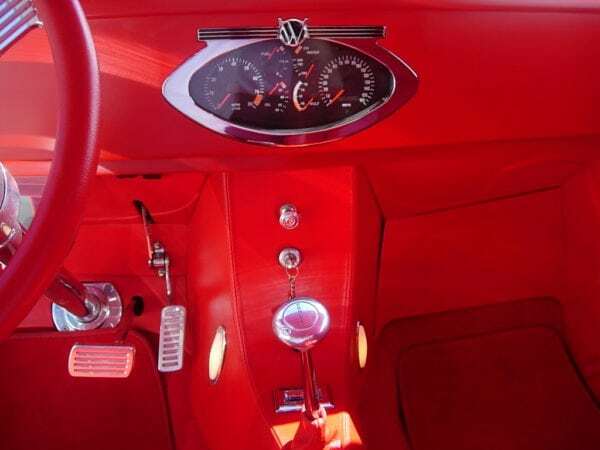 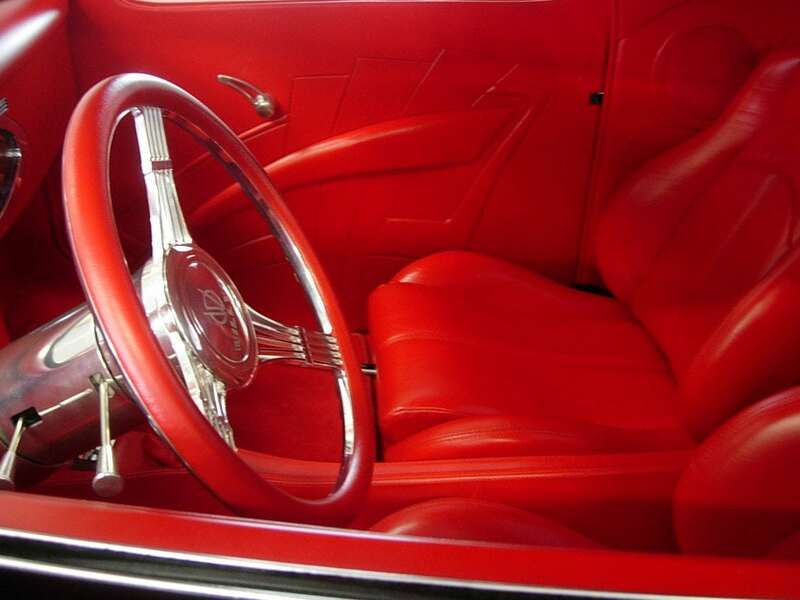 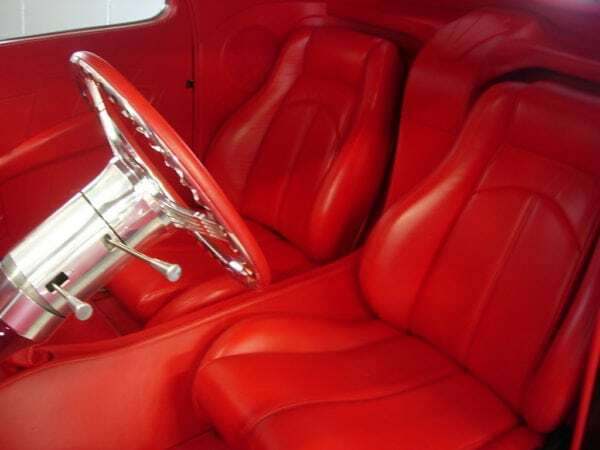 Interior features custom Chuck Hannah all Red leather with Red carpets, CD stereo, custom gauges, polished tilt column, banjo steering wheel and power windows. 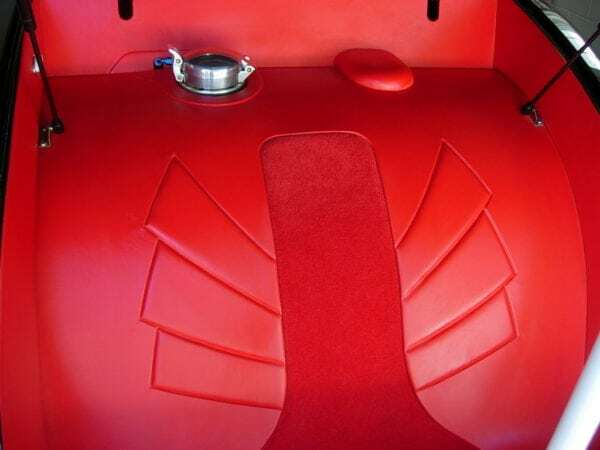 Trunk finished in Red leather to match the interior. 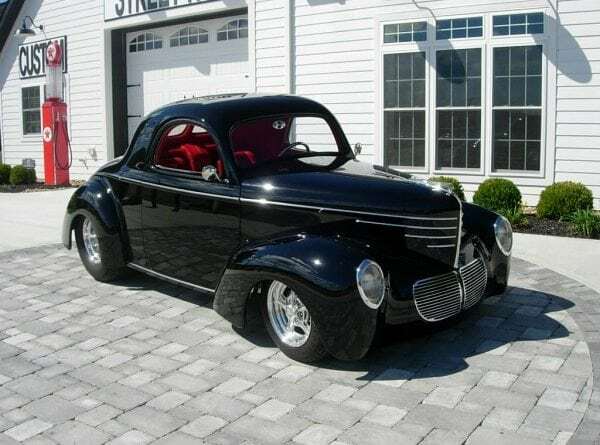 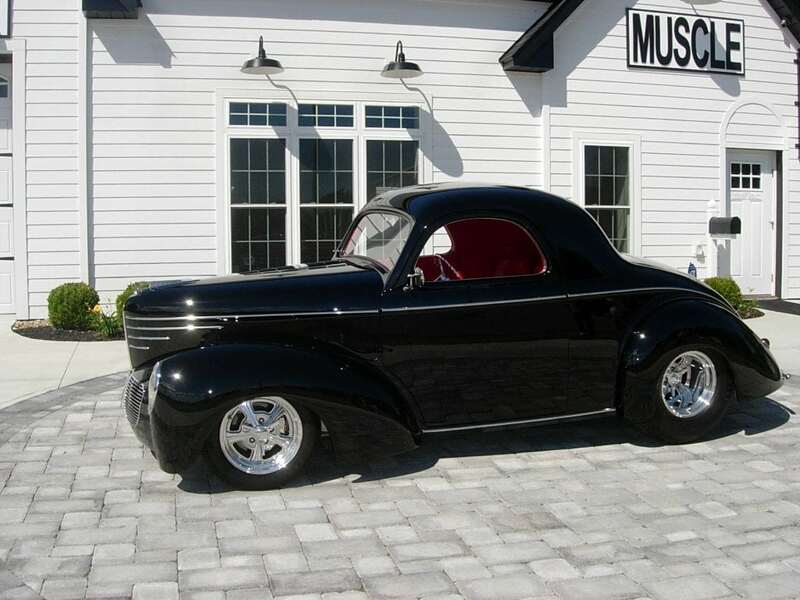 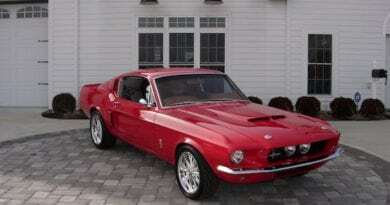 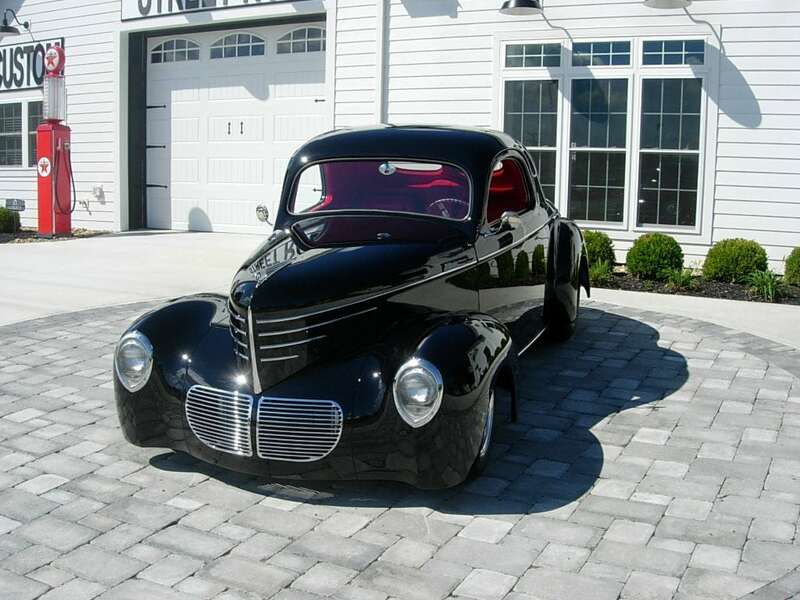 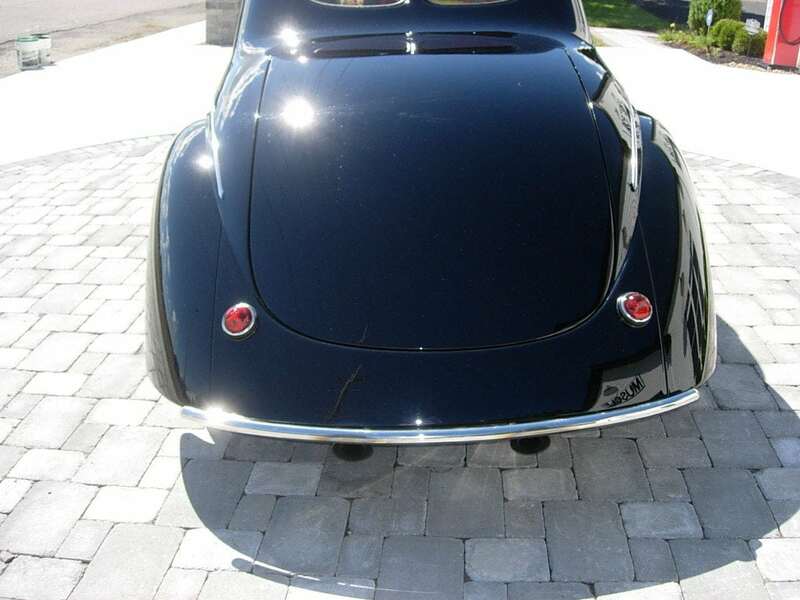 Car rides on one off Rowe polished wheels with knock offs and Hoosier tires.